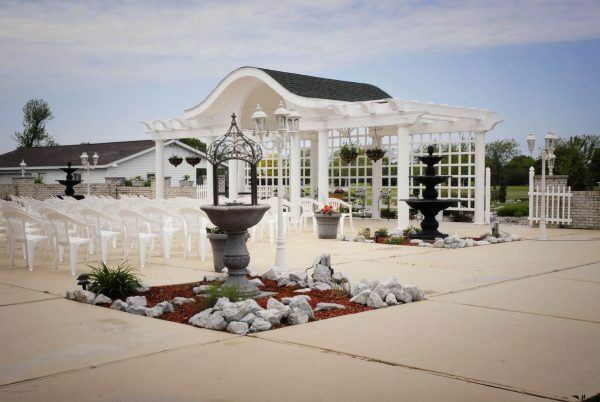 Are you looking for an accommodating venue for your wedding ceremony and reception, shower, or other type of event? If so, contact The Grand Banquet and Conference Center. 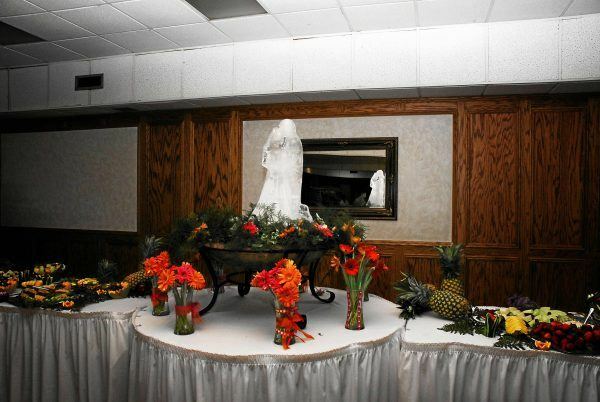 The Grand Banquet and Conference Center, previously known as the Elks Club, is a wonderful location for your big event! The facility was built in 1968 and was the largest Elks Club in Michigan. In April of 2001, the building was purchased by Robert Roe. There was much needed renovation on the building which began immediately and lasted approximately two years. The initial intention was to renovate the large upstairs ballroom. However, due to increasing demand, the lower level was also fully renovated. The outdoor gazebo area is an ongoing project as each year we work hard to increase the size of the garden, and maintain a clean and comfortable patio area. 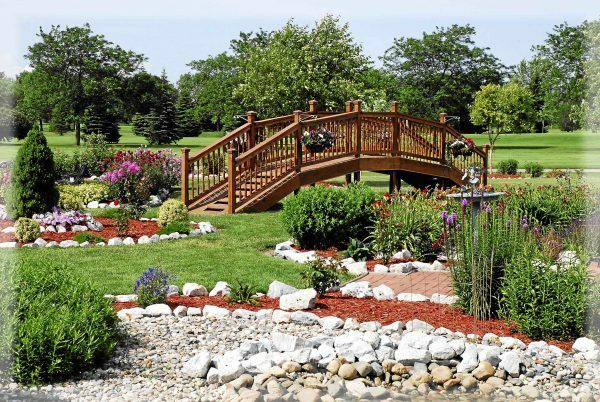 Each year, perennials and annuals are added to the already extensive garden area. 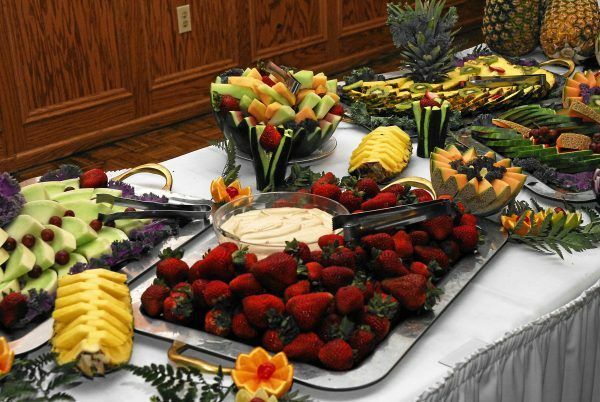 Contact us today for a tour of The Grand Banquet and Conference Center! The Grand Ballroom is ideal for large events and is unique as it has a full wall of windows and elegant chandeliers. The Grand Ballroom is our largest ballroom with a capacity of up to 550 guests. 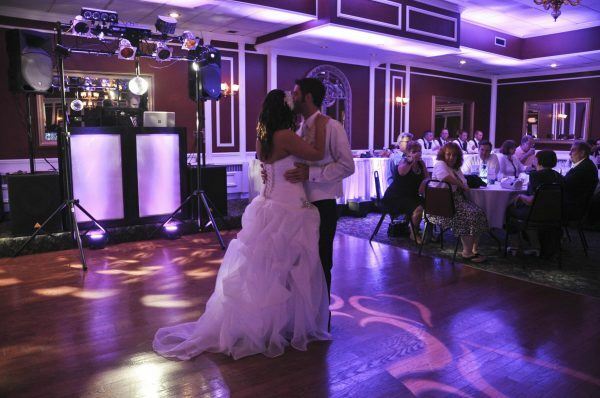 The Hearth Ballroom is perfect for wedding receptions, and is quite popular due to having direct access to the outdoor patio area. The Hearth Ballroom has a rustic atmosphere with a stone fireplace and unique lighting that provides a relaxing ambience. The Gold room is truly elegant and classy with deep cranberry walls and beautiful chandeliers. The Gold room is ideal for small events including wedding ceremonies, receptions, showers, and small parties. 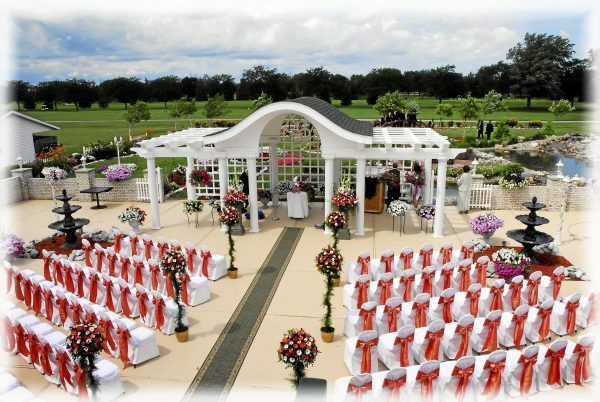 The Grand Gazebo is our outdoor venue that has grown to be quite popular. The staff at the Grandtakes great joy in maintaining the garden and patio for a wonderful setting. 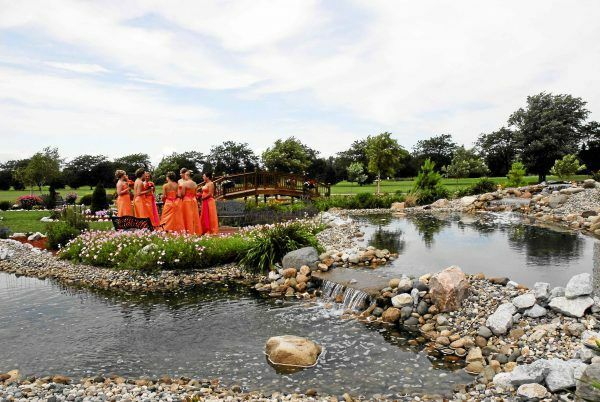 Guests seem to really enjoy being surrounded by natural beauty and the sound of the waterfalls. 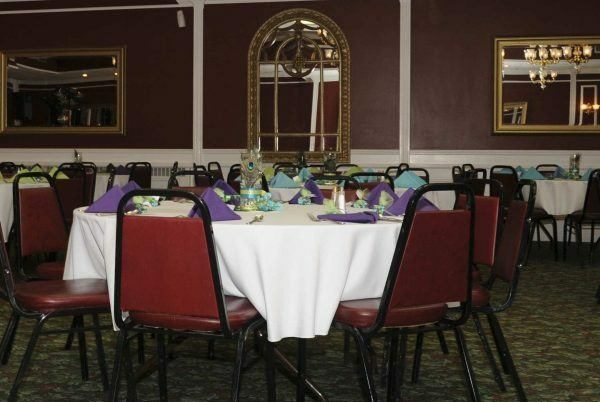 For more information on the banquet halls at The Grand or inquiries about renting a room, contact us today!